CV Velocity was adopted by Ashley of Cincinnati and her two cats (not pictured). 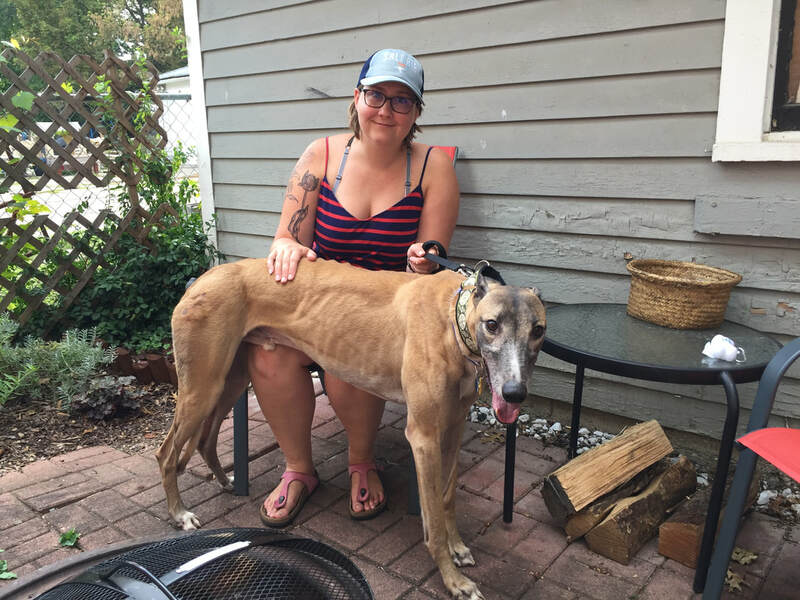 Ashley had done tons of research about greyhounds and was already well read when she decided it was time to add a greyhound to her life. It took a couple weeks to find the perfect fit for her but she was patient and Velocity couldn't have been a better match. He walked right in to her home and paid no attention to her two cats what so ever! We will be sure to see these two all through town!